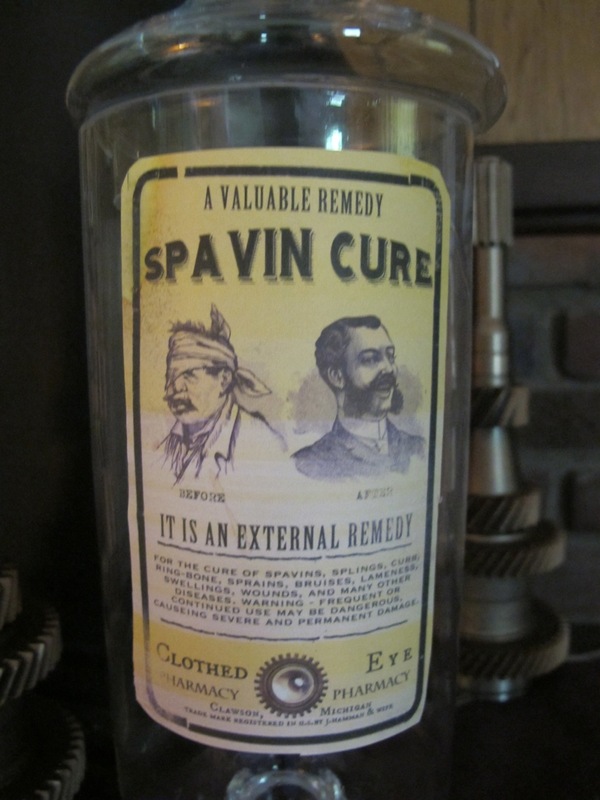 Spavin Cure apothecary jar from the Pharmacy line. “A valuable remedy”. 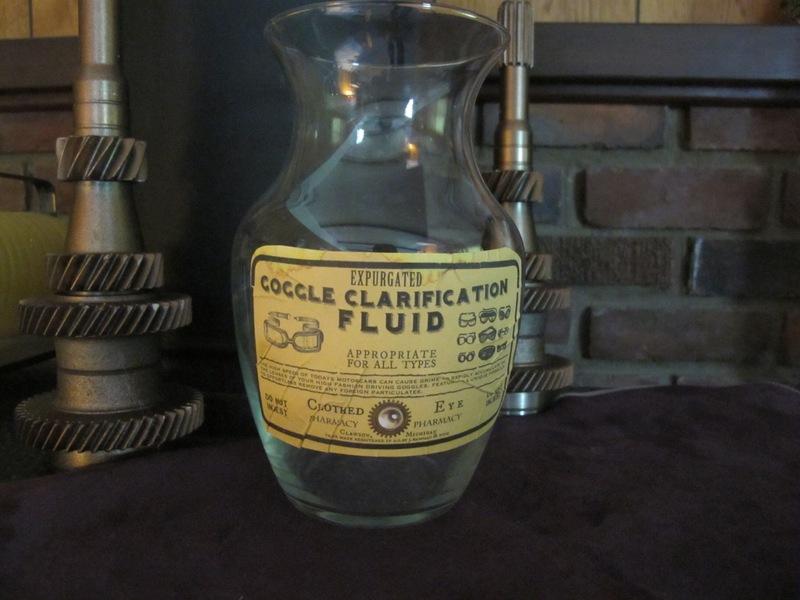 Includes double sided ‘aged’ labels on approximately 14″ tall glass jar with lid. Will include 2 new unused sticker labels as well. Great for dinner parties or wedding centerpieces. 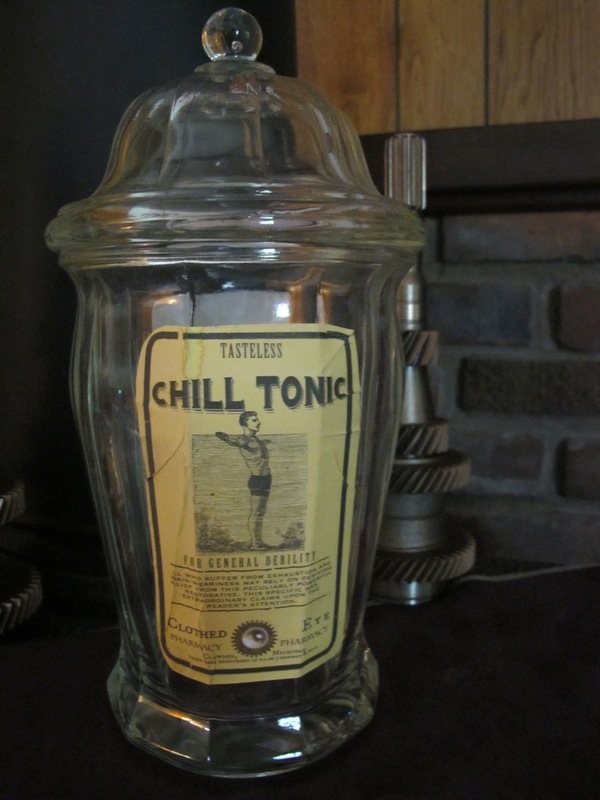 Tasteless Chill Tonic/Uncontaminated Syrup No 313 Apothecary Jar from the Pharmacy line. Large heavy glass jar features two different labels on each side for the same product. Thick walled bevelled glass jar with lid is approximately 11 inches tall. Labels have been ‘aged’ to give them a used/antique look but will also ship with two unused sticker labels. 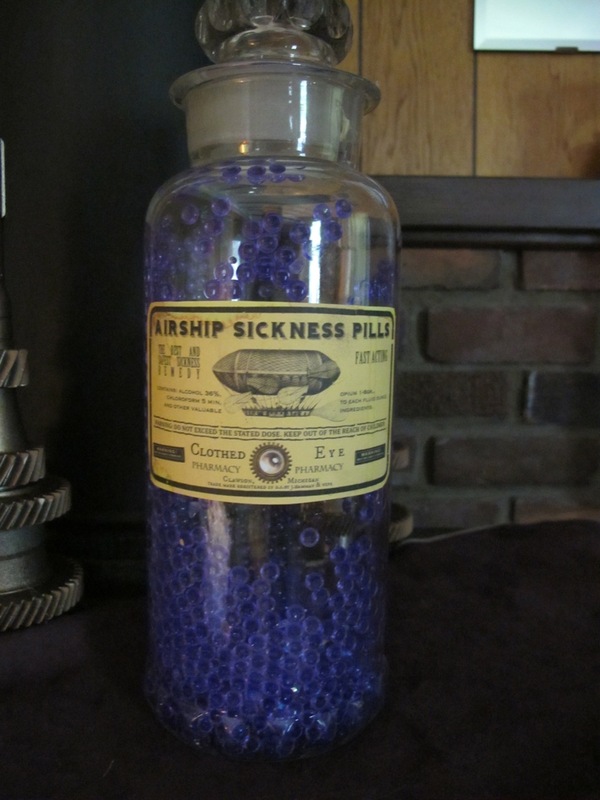 Very unique jar makes a great conversation piece or wedding centerpiece. 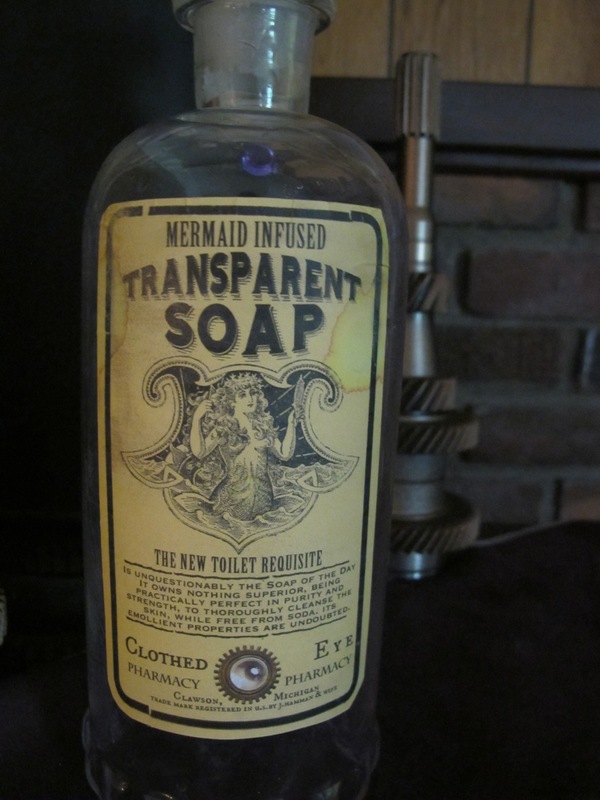 Mermaid Infused Transparent Soap apothecary jar from the Pharmacy line. 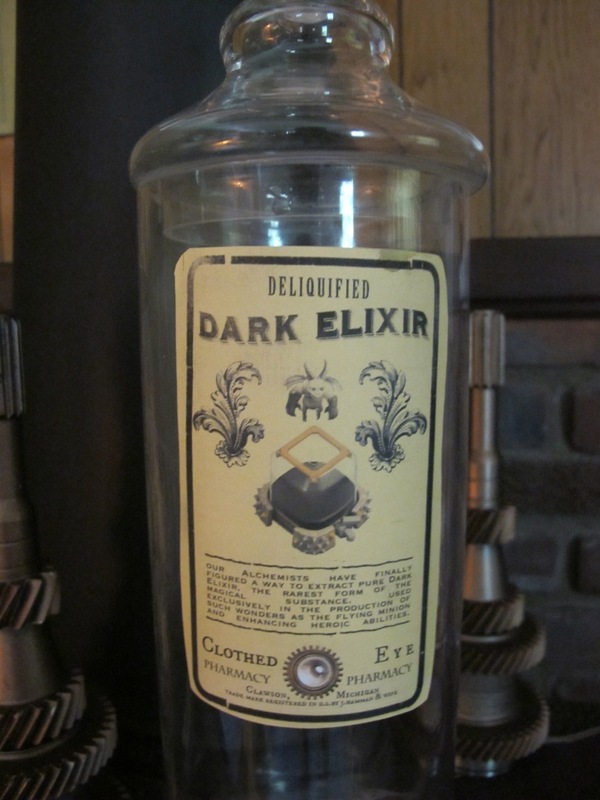 Actual antique apothecary jar with glass stopper stands approximately 10″ tall. Jar has a unique beveled bottom that looks almost like a gear. Single ‘aged’ label and will ship with new unused sticker label as well as ‘transparent soap beads’ (water beads) to complete the look. Great for a wedding centerpiece. 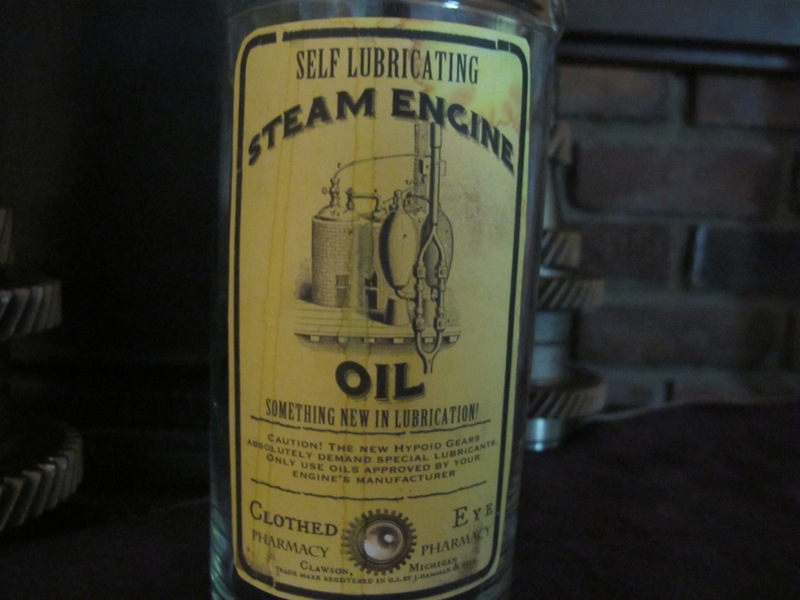 Self Lubricating Steam Engine Oil apothecary jar. More from the Pharmacy line, features an ‘aged’ label. Round glass jar is approximately 9 inches tall with round topped lid. Will include new unused sticker label. Keep your steam engines properly lubricated for best results. No oil included. Makes a great centerpiece for wedding or dinner table. 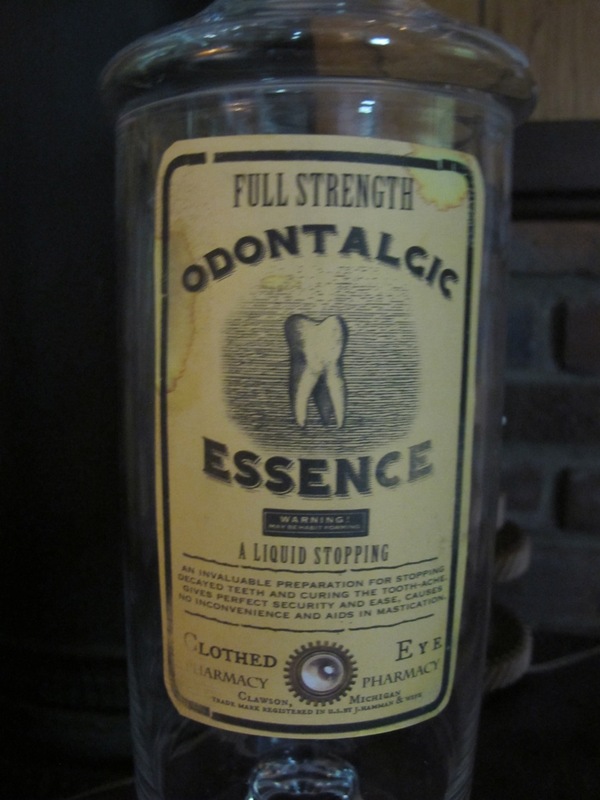 Full Strength Odontalgic Essence apothecary jar from the Clothed Eye Pharmacy line. Stemmed glass jar with lid stands approximately 14 inches tall. Comes with double sided aged labels and another set up unused sticker labels. 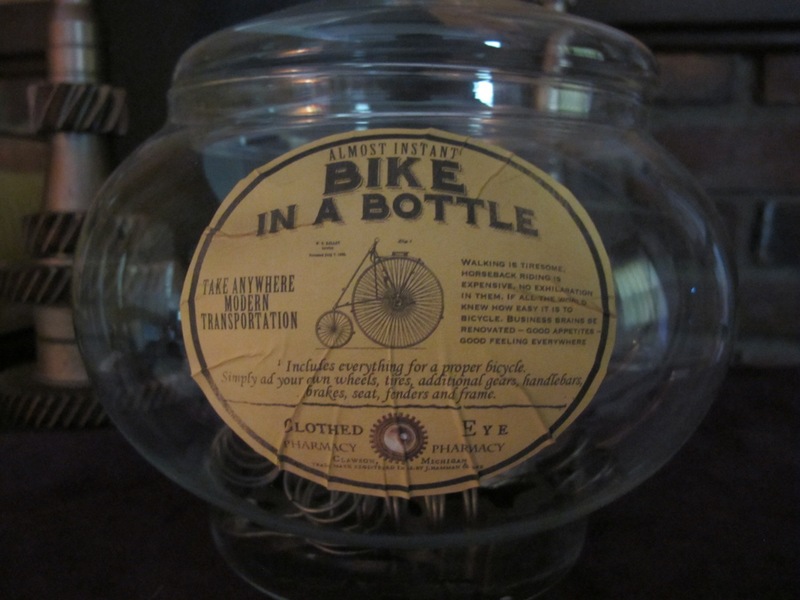 Great conversation starter centerpiece or for your steampunk wedding! 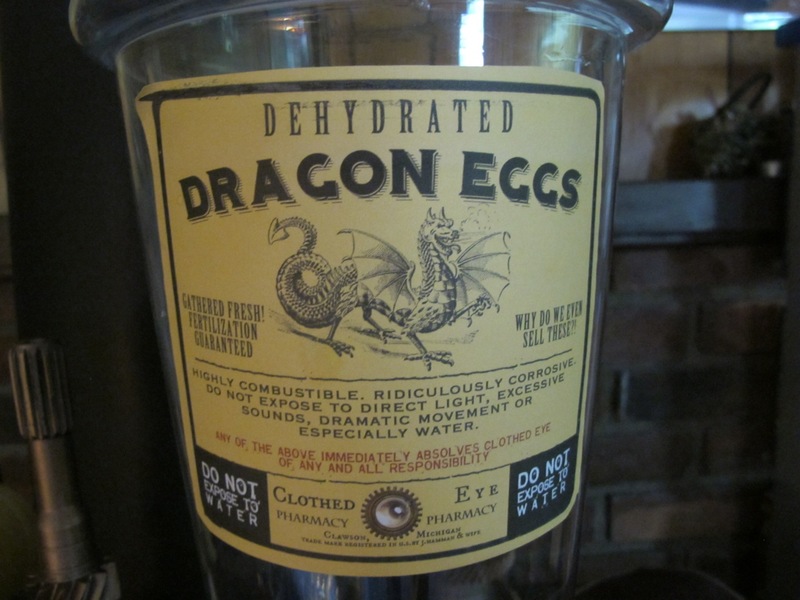 Dehydrated Dragon Eggs apothecary jar from the Pharmacy series. This is a giant glass jar, standing almost 18″ tall and very wide. Features large two sided ‘aged’ labels. Included 6 stone ‘Dragon Eggs’ as well as a large gear base for them to stand on inside the jar. New unused sticker labels will also be included.